Every year, more than 700,000 Americans have their lives changed by a stroke. 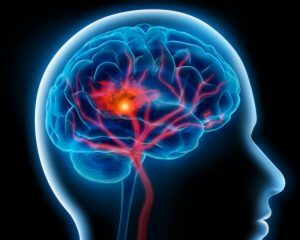 A stroke occurs when the blood supply in the brain becomes disrupted by plaque or a clot, sometimes leading to a rupture. It’s one of the top 3 causes of death in the United States today, and for the people who survive one, they have a multitude of challenges ahead of them. The effects of a stroke can create many difficulties for a person in regard to their overall health, but it can be particularly impactful on a person’s oral health. Today, your cosmetic dentist in Ken Caryl, Dr. Susan Kutis, discusses how a stroke can affect a person’s smile and what they can do to keep themselves healthy while they recover. One of the most well-known effects of a stroke is partial or complete paralysis on one side of the body. This can lead to a multitude of issues due to reduced mobility. A person may have difficulty brushing their teeth, rinsing their mouth, or thoroughly chewing their food, all of which can easily cause someone to develop tooth decay, cavities, and gum disease. Fortunately, tools like electric toothbrushes, floss holders, and large interdental brushes can often mitigate this issue and enable a person to maintain a consistent oral hygiene routine. Many medications prescribed to stroke victims can lead to dry mouth, which is a condition where the mouth’s saliva production is greatly inhibited. Dry mouth can often lead to persistent sore throats, speaking difficulties, and dry nasal passages. Also, saliva is essential to maintaining a healthy environment in the mouth and keeping the teeth clean. To counteract this, there are certain tablets a patient can take that will stimulate the production of saliva, and they can also help by drinking more water. Stroke victims also tend to suffer from falls during the actual event, which can lead to all kinds of dental damage. In addition to reducing a person’s ability to speak and eat normally, this can also severely affect their self-confidence when they need all the strength and motivation they can get. Fortunately, there are a number of cosmetic dentistry treatments that can fix this damage, such as porcelain veneers in Ken Caryl. These are extremely thin ceramic coverings that are bonded to the front of the teeth, and they can be used to repair issues such as chips, cracks, or broken teeth due to a fall. This subject matter hits close to home for us because of one of our own patients, Becky. She suffered from a stroke, fell, and damaged her teeth, leaving many of them chipped. We were able to completely restore them using porcelain veneers, and now she can smile confidently again, which we know will help her in this new phase of her life. Having a stroke is a big event in someone’s life, but with a little extra care and a cosmetic dentist, we can make sure your smile stays bright during your journey. To learn more about Becky’s story or how to take care of the teeth after a stroke, simply call or email us today. If you would like to learn more about strokes and how you can prevent them, please go to www.stroke.org.